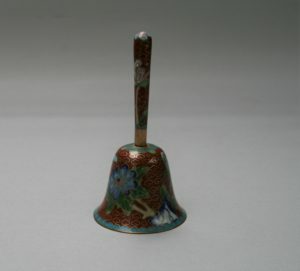 A small cloisonné hand bell with a rust coloured background with pale and dark blue flowers around the bell. 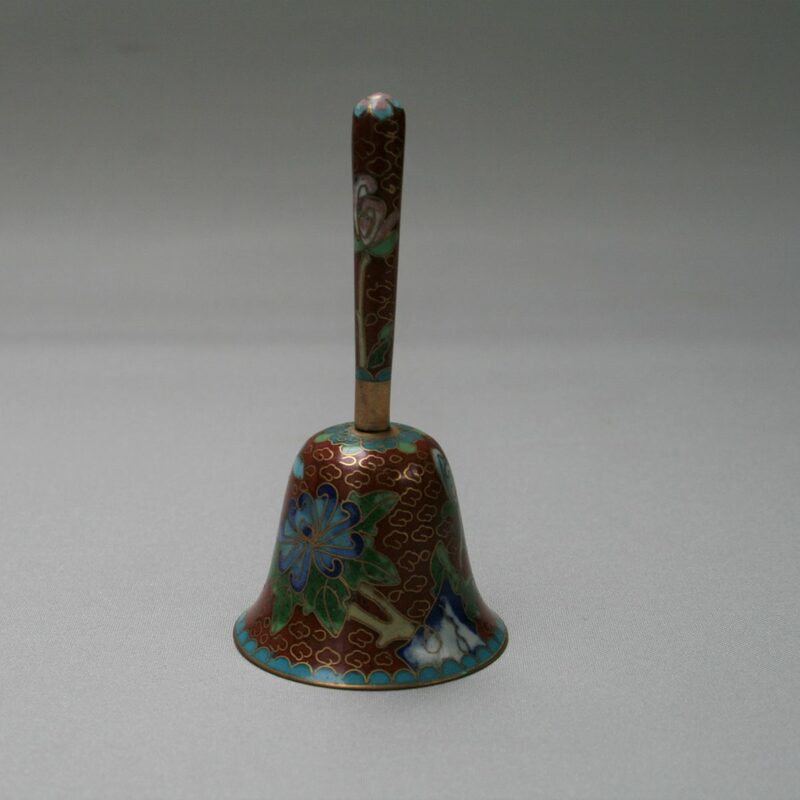 The handle has a trailing pink flower. 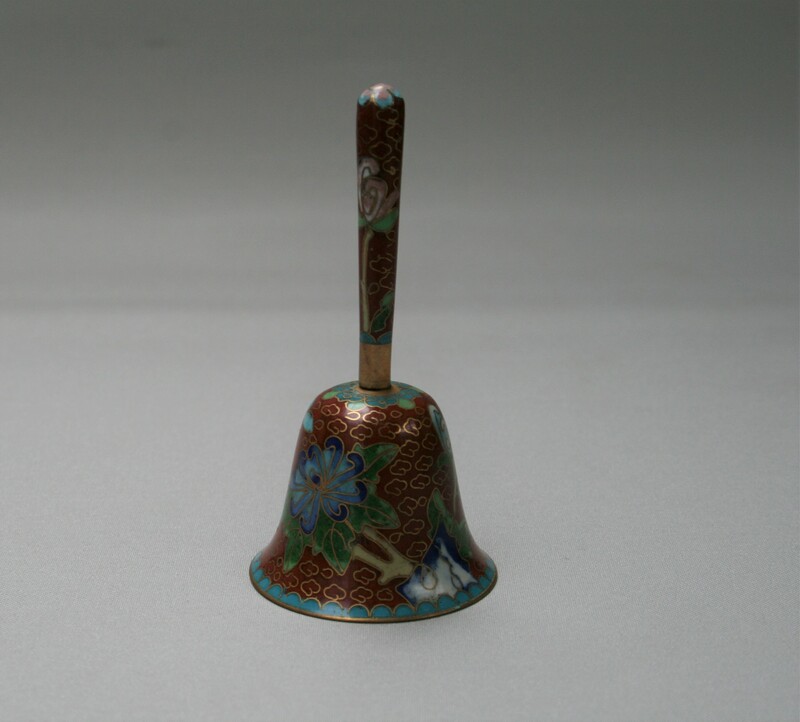 The inner part of the bell has a pretty turquoise colour.